The Best Kitchen Countertop Options in Tampa Bay May Surprise You! If you’re wondering what are the best kitchen countertop options in Tampa Bay. Then this article is a must read. As a leading countertop fabricator and installer in Tampa Bay we get asked all the time “what are the best options for kitchen countertops?” You may be shocked to discover that Tampa Bay’s best kitchen countertop options have been right under your nose the whole time. Keep reading to find out which options are the best for kitchen countertops and why? 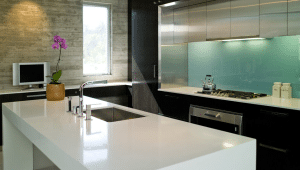 How to Choose the Best Kitchen Countertop Options in Tampa Bay? When looking for a material for your kitchen countertop there are many factors that you should consider. Most of the factors will based around your personal preferences. Such as colors, designs, patterns, etc. However, some factors go beyond personal preference and are shared by most people searching for new kitchen countertops in Tampa Bay. Quality of the material – The quality of the kitchen countertop material is very important. Most homeowners want a countertop material that is going to last, will be durable, and looks good. Overall Value – Since installing a new kitchen countertop is a large investment. Homeowners want to make sure they are getting the best overall value. Value does not mean the lowest price. A good overall value is a combination of quality and price. Or as most people say they want “the best bang for their buck”. Options – This is a factor that allows homeowners to have the freedom of design choice. Typically, they want a material that gives them lots of good color, pattern, and style options. Now that we know what the main factors we can reveal what the best options are. What are the Tampa Bay’s Best Kitchen Countertop Options? 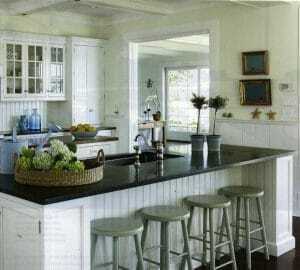 Granite Countertops – Granite countertops have been a favorite countertop material for many years. They are one of the highest quality materials you can use. Resisting insane amounts of heat, daily abuse, and providing a durability that is hard to match. Combined with a myriad of colors, patterns, and styles to choice from. There is no wonder why granite remains one of the most popular countertop choices. Quartz Countertops – Quartz countertops have been popular choice for many due to their high quality combined with ease of maintenance. Even though the price is higher on the scale. They overall value is outstanding for what you get. A high quality, durable, stain resistant, and almost 100% maintenance free countertop. The design options are very extensive as well. Which only increased the overall value and demand for this material. How Much Do the Best Kitchen Countertop Options Cost? The cost of the best options mentioned above will vary greatly depending on where you purchase your kitchen countertops in Tampa Bay. If you purchase through a kitchen company, home improvement store, or general contractor. You will most likely pay a lot more than buying direct with the fabricator and installer. Generally speaking, granite will be on the lower end of the scale and quartz, quartzite, and marble will be on the higher end. I know what you might be thinking right now. “But you said best overall value and these seems like they are expensive”. Well, remember value is not the lowest price but the best mix of price and quality. The materials listed do have a much better value than other countertop options. This is due to their quality, selection, and performance of each material. Cheaper materials just cannot compare because they are not as durable, don’t last as long, and typically do not increase the value of your home as much as the materials listed above. Where to Buy the Best Kitchen Countertop Options in Tampa Bay? The best place to buy these materials is factory direct with the fabricator and installer. This will ensure you do not pay heavy markups by middle men and get the best quality control. Tampa Bay Marble and Granite is a premier factory direct countertop company located in Largo Florida. We also directly import our slabs from the quarries which allows us to pass on more cost savings and the best quality hand selected stone slabs. Give us a call today if you would like to talk to a kitchen countertop design specialist or request a quote from our website. PreviousPrevious post:Benefits of Caesarstone Countertops for Kitchen & BathNextNext post:Natural Stone Countertops: Just the latest trend or here to stay?